A scene from the movie Monsieur Lazhar. Randy Testa of the Harvard Graduate School of Education will facilitate a series of events focused on what it means to be a teacher in challenging times. All events in Trauma, Narrative, and Teacher Identity: A Speaker Series are free and open to the public. The series will examine what it means to teach in the midst of trauma on a personal, community, or larger societal or cultural level. The series begins with a screening of Monsieur Lazhar, a drama about a year in an elementary school classroom, at 7 p.m. Thursday, October 12, at the Normal Theater. The PG-13 film was a 2012 Academy Award nominee for Best Foreign Language Film. A discussion of the film will follow the screening. At 4 p.m. Friday, October 13, Testa will present “Professional Education that Sticks: Re-Envisioning Professional Challenges through the Lens of Cinema,” in Illinois State University’s Stevenson Hall room 101. The lecture will examine the film Monsieur Lazhar as an emblematic case study for the use of narrative in professional education and its ability to cultivate self-understanding. On Saturday, October 14, from 10-11:30 a.m., Testa will present a workshop and discussion on trauma, narrative, and teacher identity in Stevenson Hall, room 133. 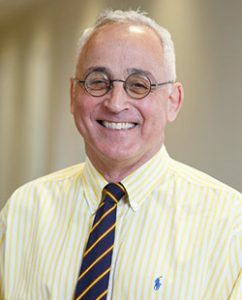 Testa is the former vice president of education for Walden Media and is currently the managing director of the K12-16 programs at the Harvard Graduate School of Education. His presentations are sponsored by Illinois State’s English Department, the University Laboratory Schools, the School of Teaching and Learning, and a grant from the Howard K. Sage Fund and the Illinois State University Foundation. For additional information, contact Karen Coats at kscoat2@ilstu.edu.